Last weekend we managed to make a couple more Christmas decorations. My mother-in-law (known as Nanny Marilyn) came to visit from England for just 1 night so I wanted to make the most of her time with the girls. What better way for them to bond than over craft. 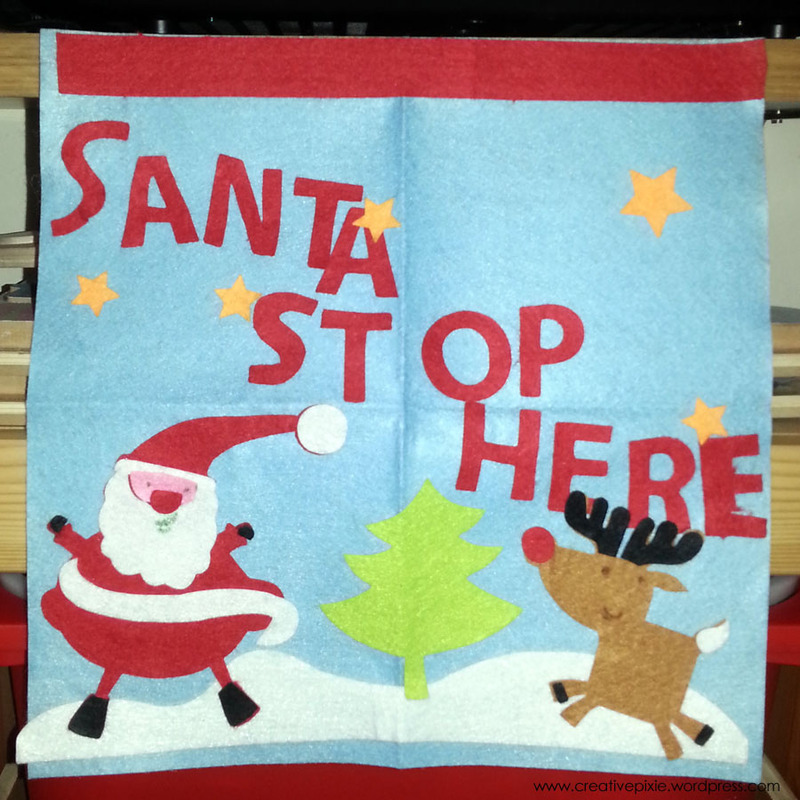 In the girls craft box was a felt banner kit saying “Santa stop here”. 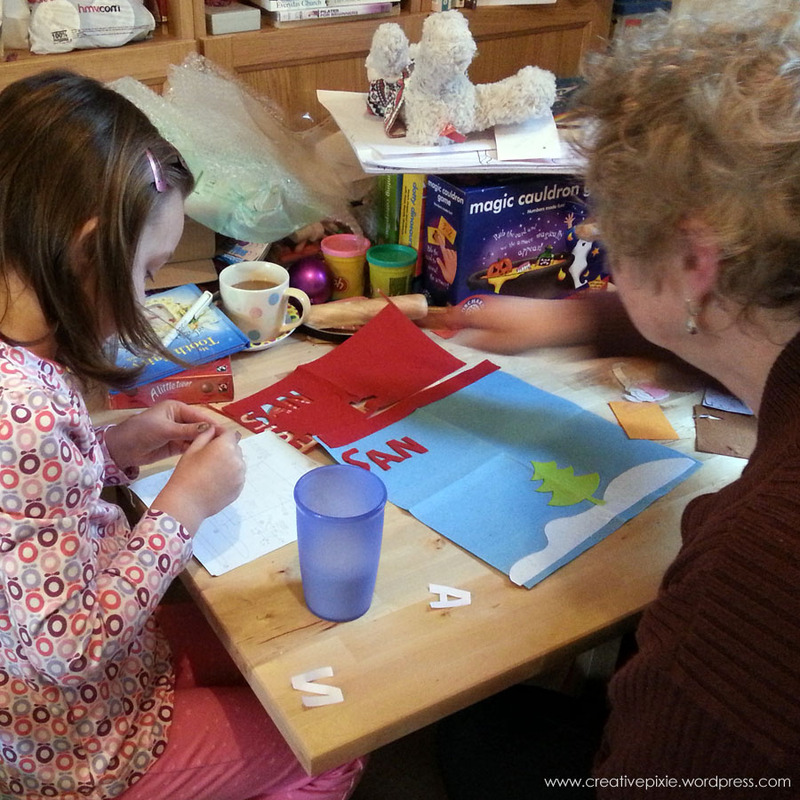 Miss P and Nanny Marilyn got to work following the pattern and sticking the felt pieces onto the backing felt. I think they did a good job – having the pieces of felt pre-glued definitely contributed to the neat outcome. I wanted the girls to make a keepsake decoration for Nanny Marilyn to take home with her to put up in her house – a Christmas hand print wreath. I got together some pieces of green card and drew the girls hand prints on them and cut them out. The hand prints were then stuck to a circle of card with the inside cut out. A finishing touch was a red paper bow stuck on to the top of the wreath. 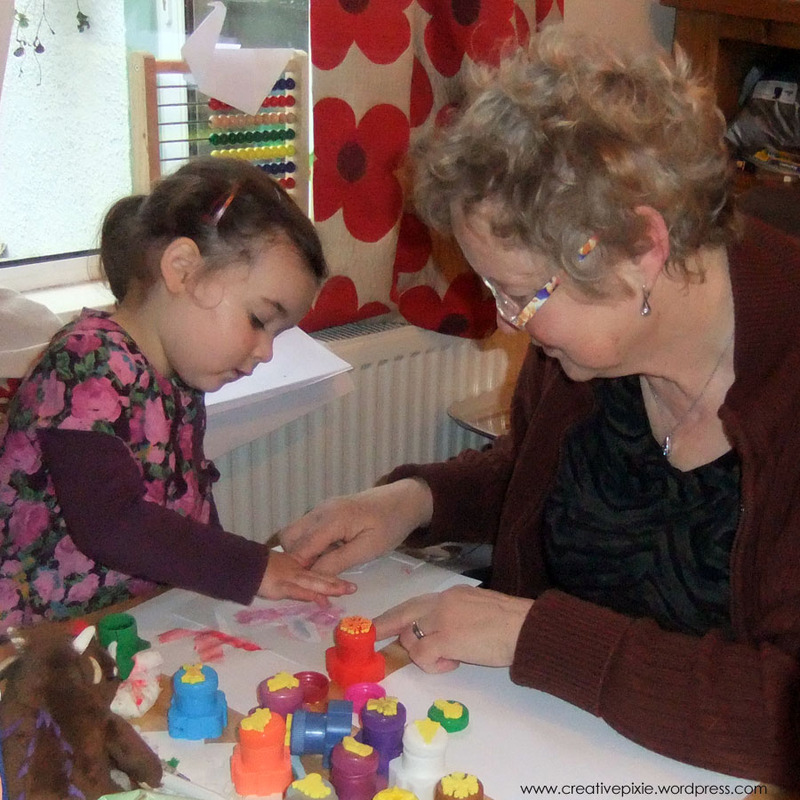 Nanny Marilyn was so pleased with the little hand prints and now she has a Christmas reminder of her grand-daughters despite being hundreds of miles apart. I also think it’s like the girls are waving *hello Nanny*. Anyone else got some gift ideas for family far away? I grew up seeing my grandma all the time, but my son didn’t, and I think it’s a bit sad when grandparents and grandchildren are far apart…so you did such a splendid job making their visit as sweet as can be. Your daughters are such lovely little ones, and I’m sure they enjoyed their time with their Nanny Marilyn. 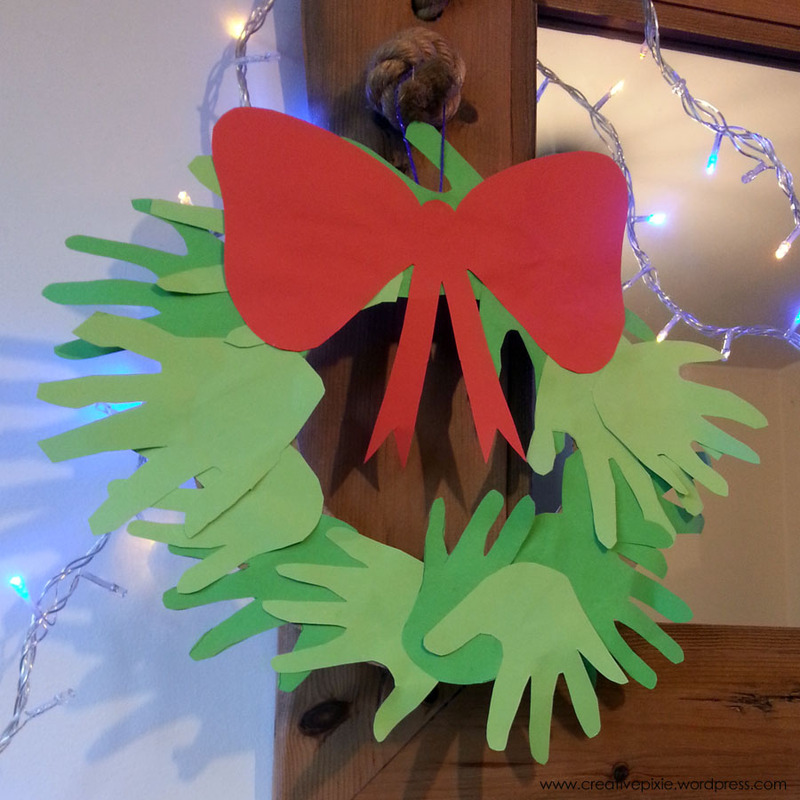 I just love the hand wreath – a great idea to be enjoyed for years to come. Love your Christmas Craft ideas!